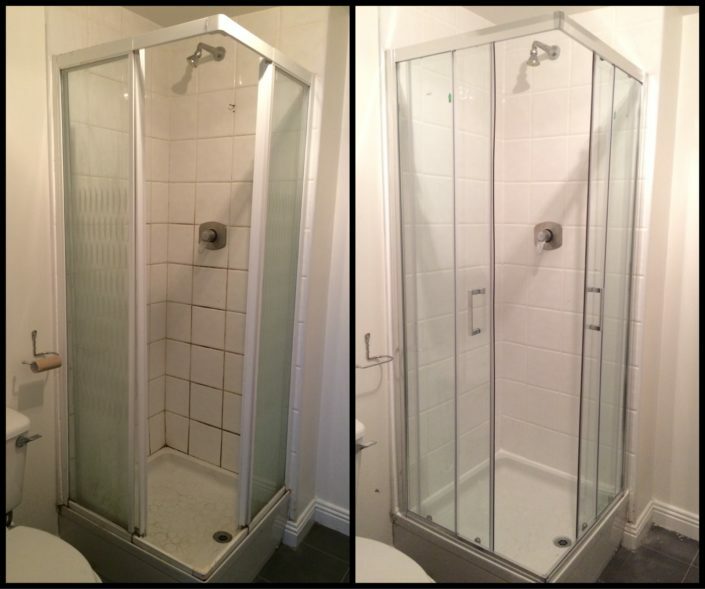 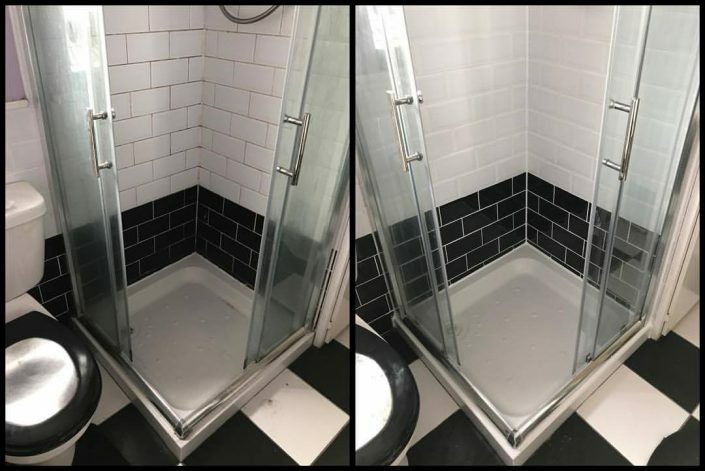 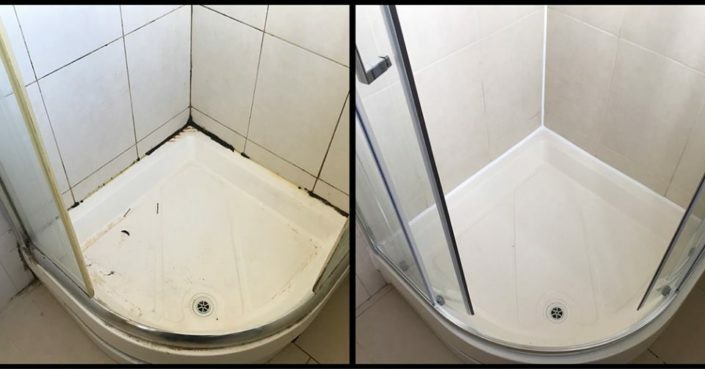 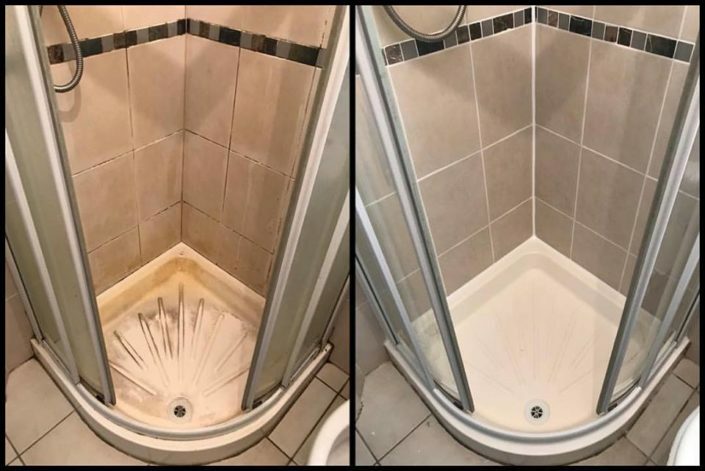 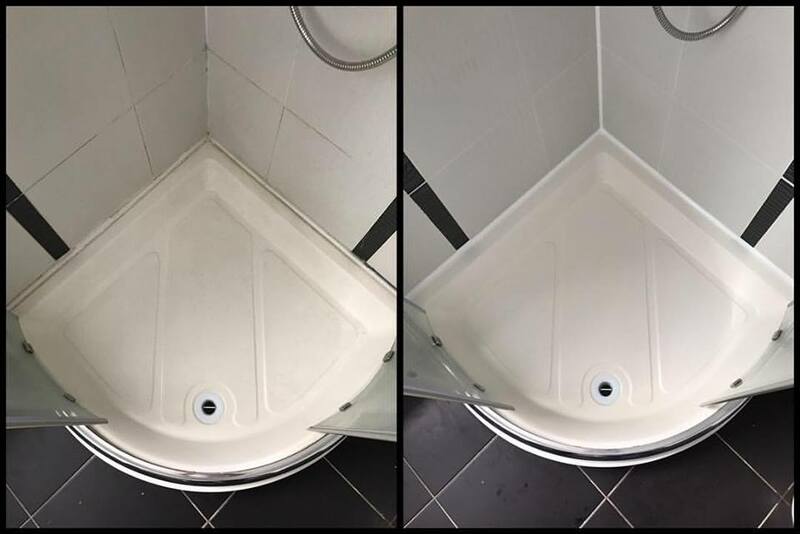 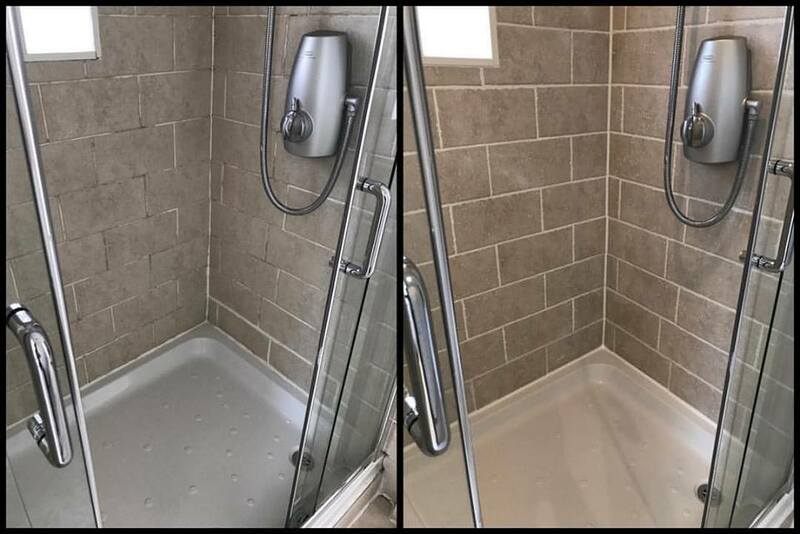 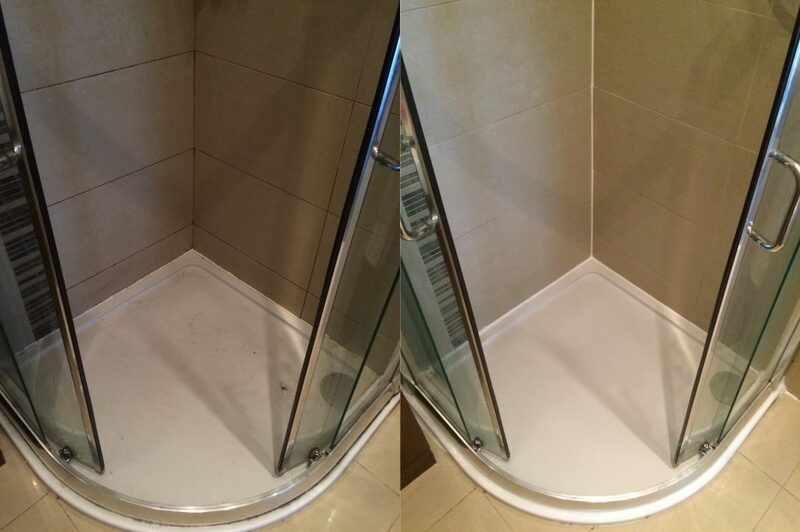 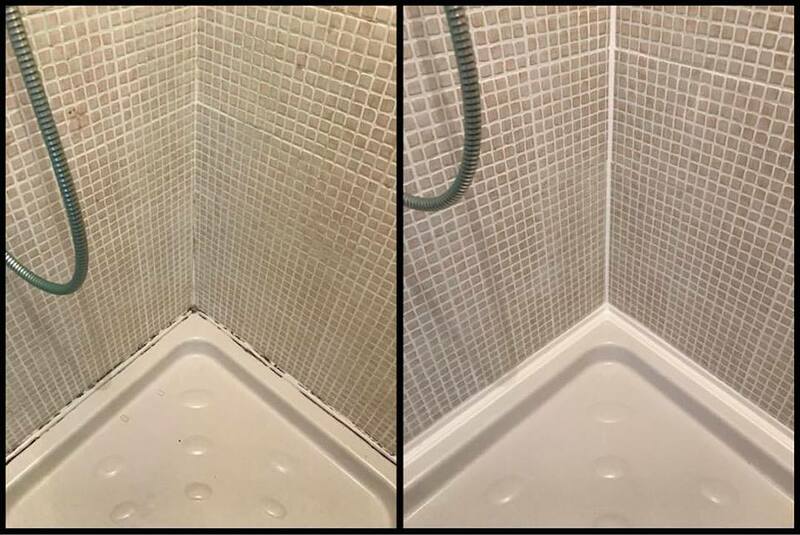 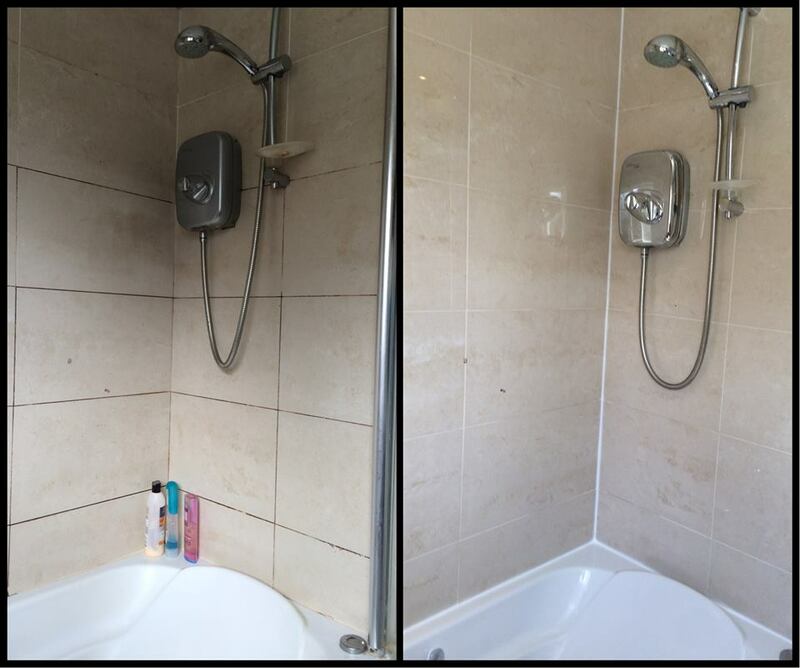 ‘Shower Area Restoration’ is a combination of deep chemical cleaning, tile re-grouting and resealing within a shower cubical or bath tub. 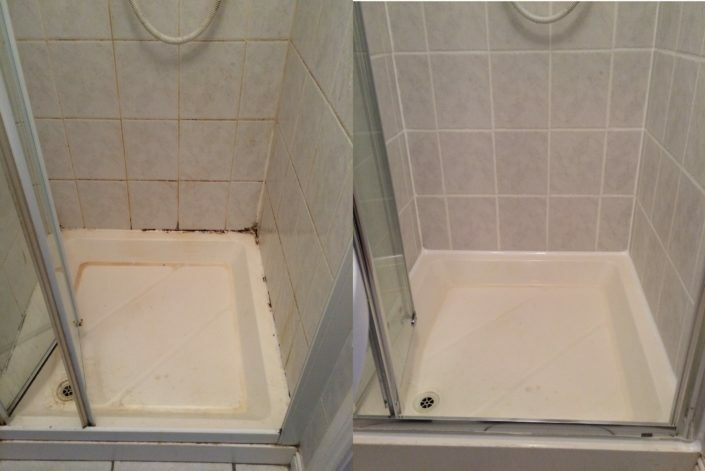 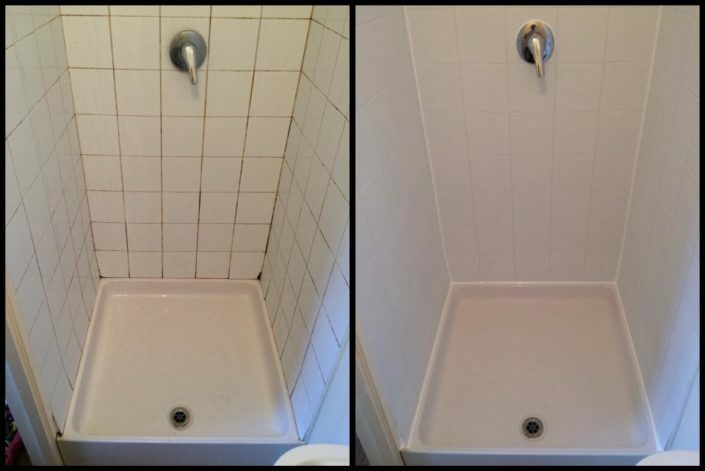 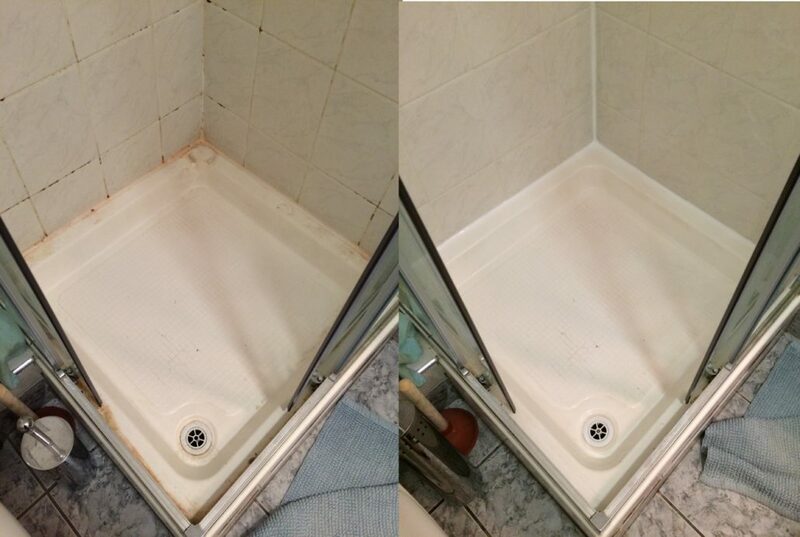 Tile grout and silicone can stain and turn mouldy over time due to everyday usage, soaps, shampoos and conditioners. The purpose of tile grout is to lock out dirt and moisture and give strength to tiles. 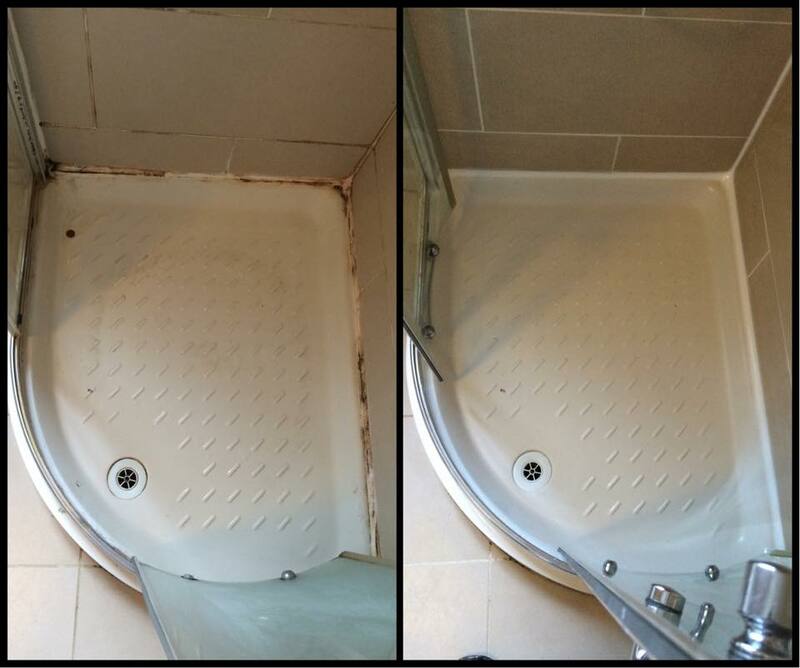 Bath seals and silicone play an important role to ensure wet area remain waterproof. 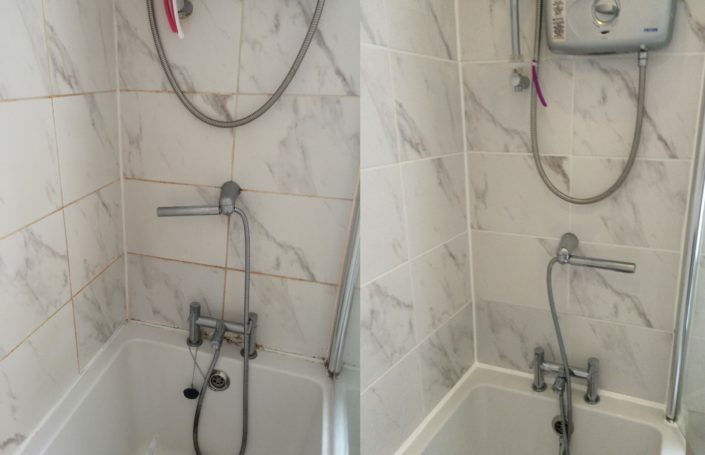 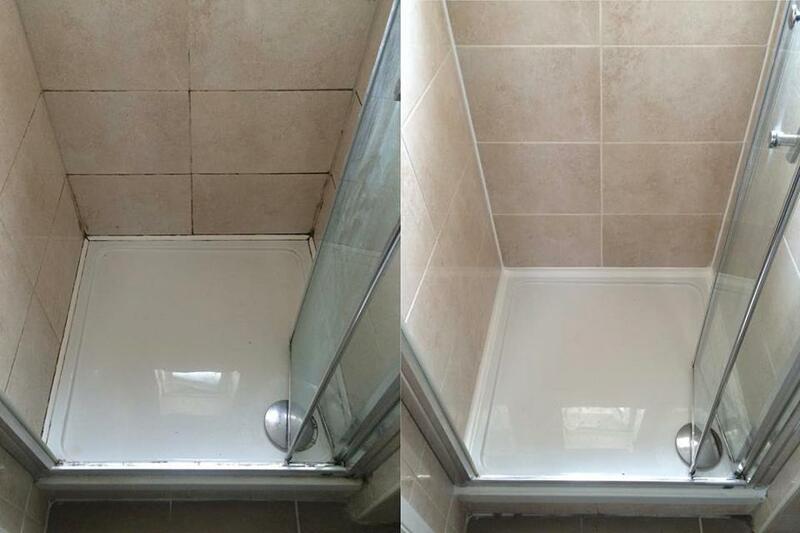 We recommend having bath and shower seals checked to prevent water getting through to walls. If you notice stains on a ceiling below or cracked tile grout then most likely you have a leak. Silicone sealant should always be used at the base of a shower tray or bath tub. 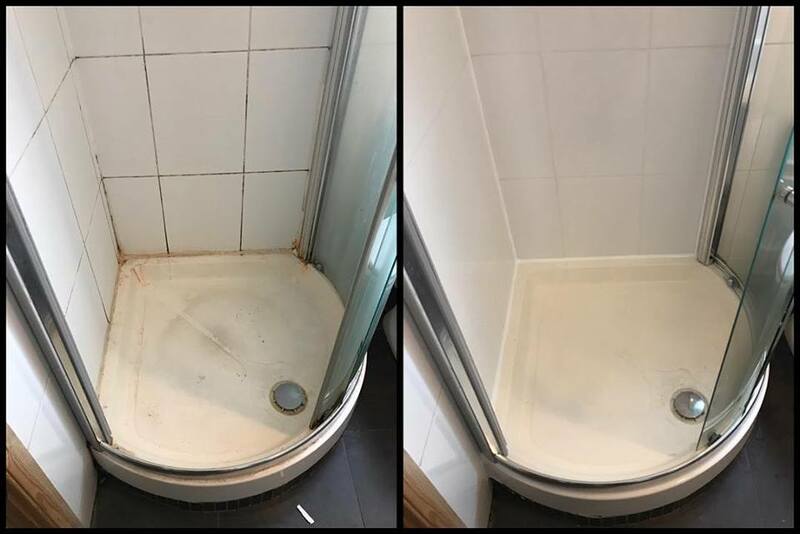 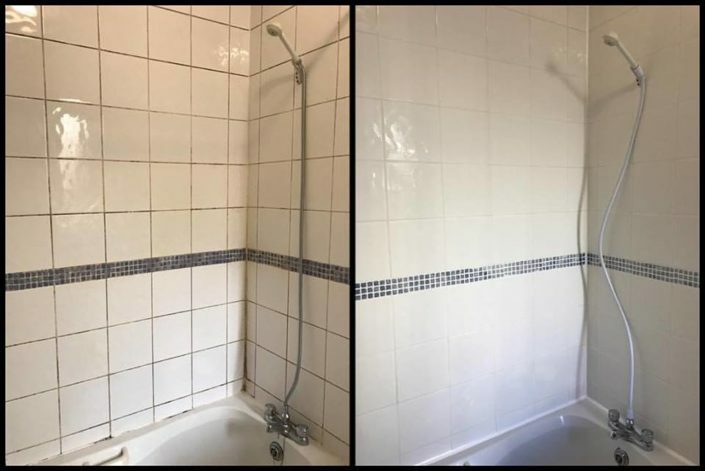 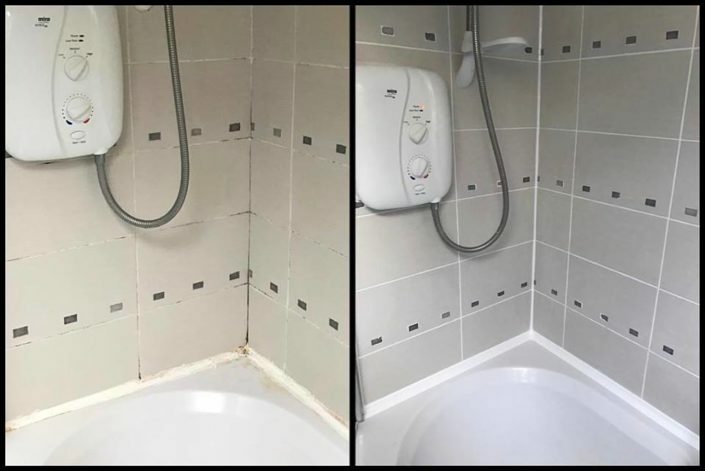 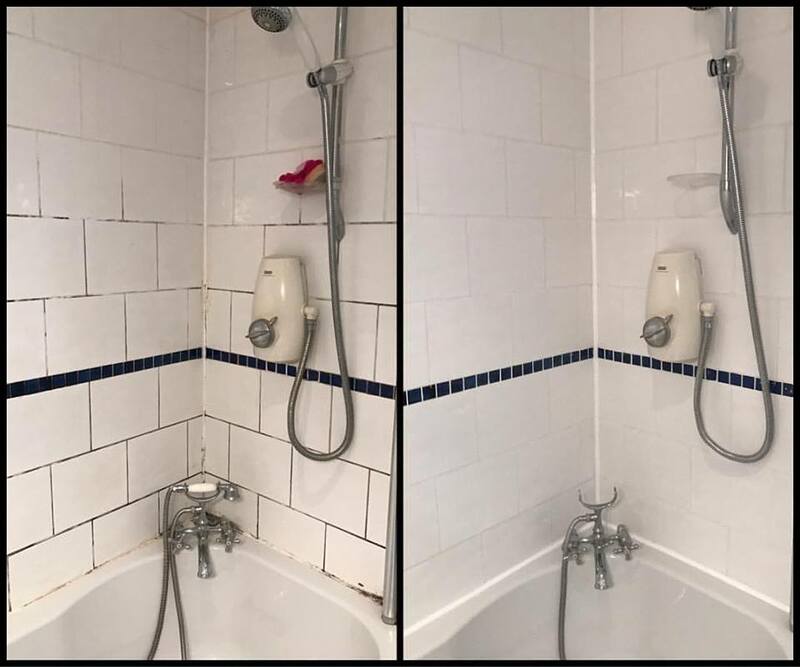 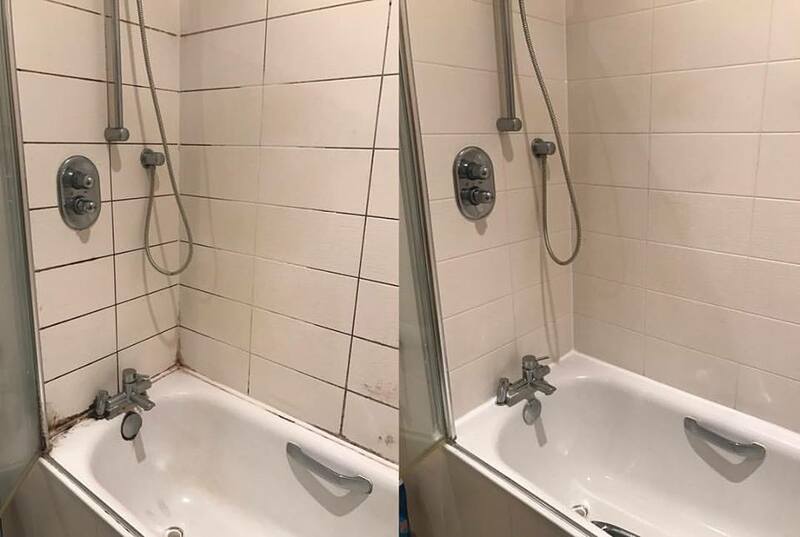 If silicone sealant is not applied correctly, not only will it look a mess, your shower will leak and your tiles will be at risk of coming loose. 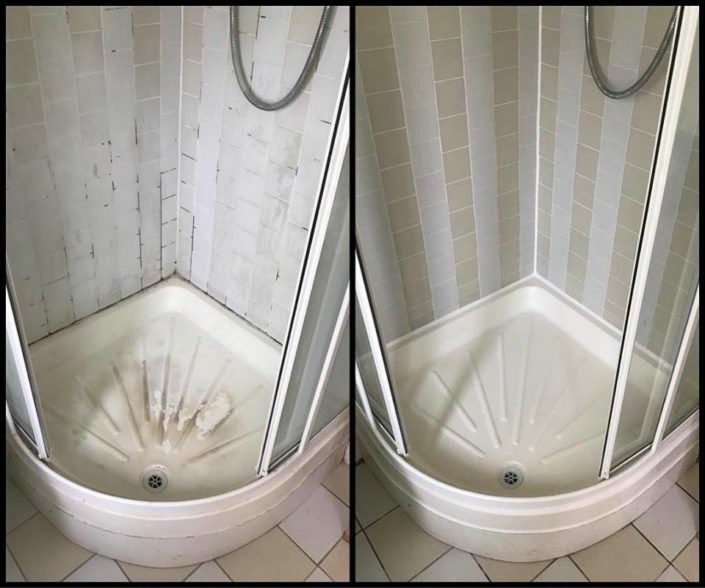 See examples of restorations below. 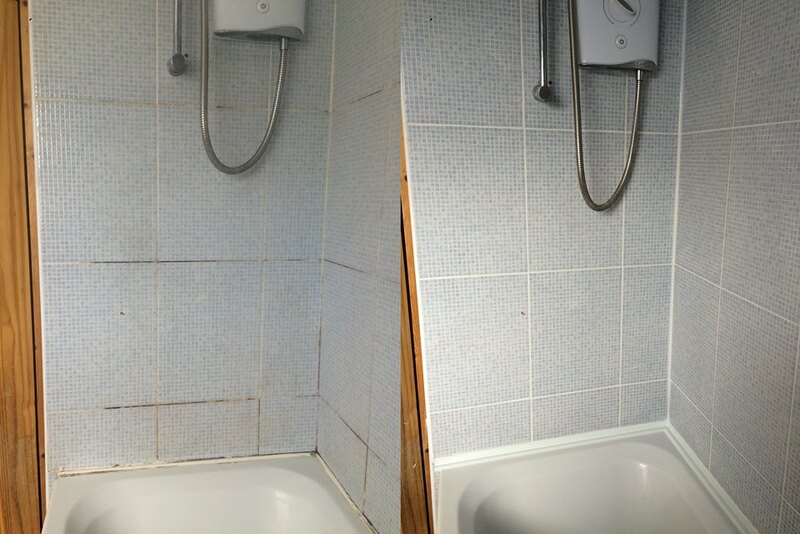 Page 1 are before and after photos of our work. 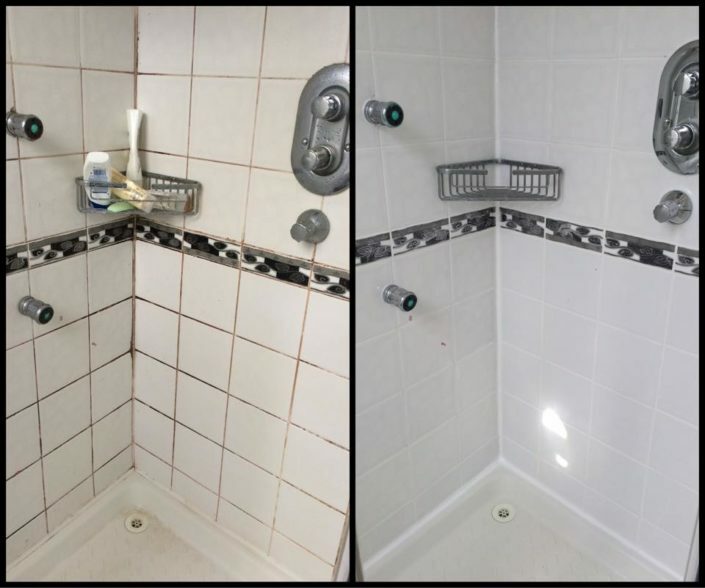 Page 2 are example photos of damaged showers beyond repair.